Bring up a new TV commercial on any given day at an ad agency and you’re likely to launch into a lengthy debate over whether or not it’s good or a complete waste of money. 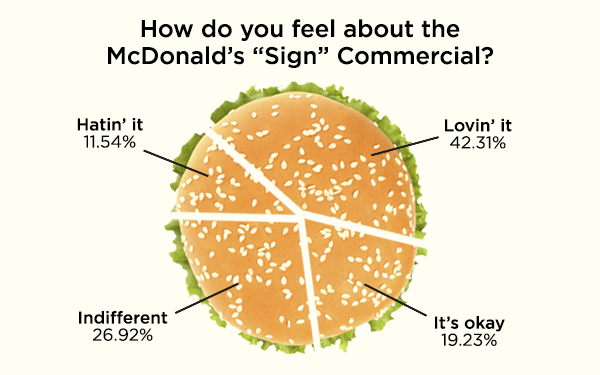 So, when we asked around Current360 for opinions on McDonald’s new – yet already heavily debated – spot entitled Signs, the results were varied. 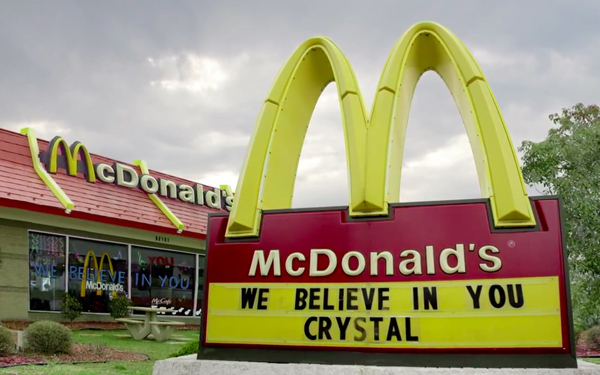 The ad debuted to big audiences during the recent NFL playoffs and Golden Globes, and it features a montage of signs outside McDonald’s restaurants. These signs include messages of varying emotional pull, from those of community support to words of encouragement after devastating events. After the spot aired, social media reactions were wide spread. A quick search for McDonald’s revealed polarized opinions, as people either loved it or hated it for a multitude of reasons. Some took aim at the living wage debate, while others attacked it for being a weak attempt at showing how much they care about its community. Others praised it for the emotional factor. So I was interested to see what a bunch of advertising folks would think. I’ll start with my opinion. I like the spot. I’m not a McDonald’s consumer, by any means. Those of you who know me know I enjoy – ok, really enjoy – local dining. But I’m the exception, as the vast majority of Americans frequent fast food chains. I’ve also driven over 6,000 miles in the past 3 months, crisscrossing Small Town USA, where the only restaurant options are often a McDonald’s and a local diner. Many of us have friends who grew up in these small towns. Some of their parents own or operate a McDonald’s. And we know people who worked there in high school or college. Those are real people with real community ties to McDonald’s. Sure, McDonald’s certainly has its issues. I don’t agree with their stance on many a thing. But I don’t hate them. I can recall that feeling of relief when they were one of the first places to open after a devastating hurricane, offering a sense of normalcy and support to the community when it was desperately needed. McDonald’s provided a sense that things were going to be ok. That was real emotion and, for me, it came flooding back with this spot. But enough about my opinion, let’s move on to the rest of our staff. We asked the employees of Current360 for their opinions, and here’s a breakdown of those responses. Now we’ve spoken our peace about it. What say you?